meg is in Africa: We Made It. Sunrise over a choppy sea yesterday morning. 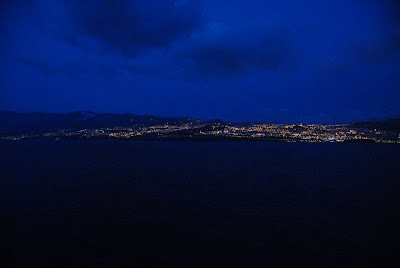 The lights of Tenerife early this morning. 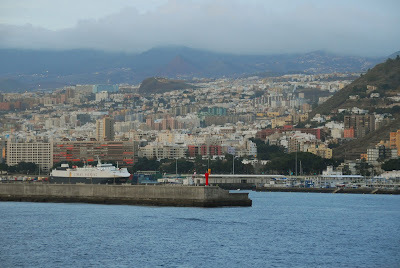 My first glance of Tenerife. 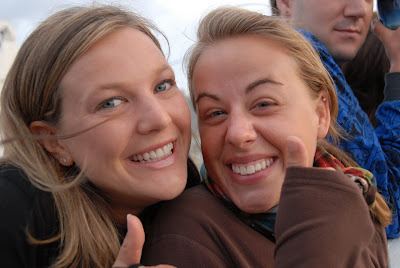 Liz and Jess were excited to see land. THE Trumpet Player. 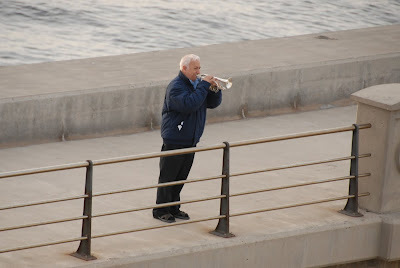 Every time the ship comes or leaves Tenerife this man is faithfully on the dock with his trumpet. He was the ONLY person waiting for us when we arrived this morning. It's a small act, but one I know touches the hearts of the entire crew. This dog is ready for Christmas. Cafe Con Leche from a sidewalk cafe. Wonderful. 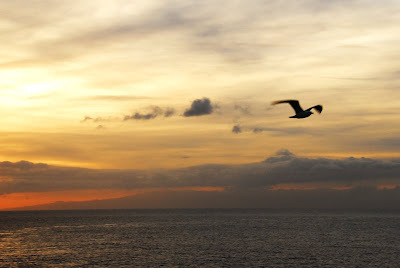 After ten months of active field service and 12 days of sailing, the Africa Mercy has safely landed in Tenerife at 8:30 AM. The final three days proved to be stormy and left our stomachs a bit unsettled. We are all very excited to be on dry land. Most of the crew has promptly left the ship by 10:30 AM. It's the little things, like clothing stores and blending in that have everyone really excited. It's always a bit strange to be in the western world after being in Benin but it's a nice change. And soon I will be home. You too can experience the rolling Africa Mercy. Just watched your videos and now am feeling a bit queasy. Praise Jesus you made it to land!! I am a pediatric nurse, who loves to write and take photos. I recently spent six months working as a writer and photojournalist in Benin, West Africa, with the Christian medical charity, Mercy Ships. I'm currently living in Bucks County, PA. 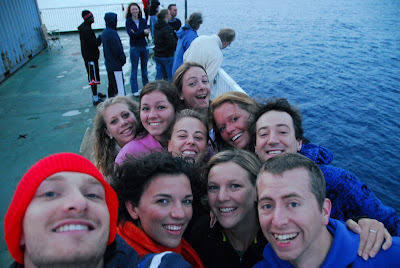 The thoughts and observations are my own and do not represent the opinions of Mercy Ships, the organization I work for.